According to Henderson County Sheriff Botie Hillhouse, officials conducted the raid on a home in the 300 block of Sunset Drive in Tool around 6:15 a.m. Wednesday morning. 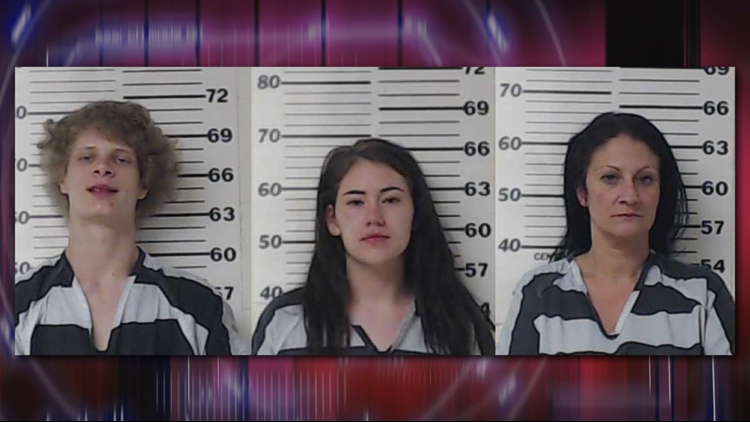 HENDERSON COUNTY, Texas — An early-morning raid on a house in Henderson County resulted in the arrests of three people, including an alleged methamphetamine dealer and wanted woman. Sheriff Hillhouse says Krayton Levelle Williams was caught with a large amount of meth, along with scales and baggies used to package drugs for sale to users. A loaded pistol was also found at the residence. Williams was charged with manufacturing and delivery of a controlled substance and taken to the Henderson County Jail. The six-member team of investigators also arrested Gabrielle Cheyenne Ward for possession of marijuana and Jennifer Dawn Kilgore, 38, of Trinidad, who was wanted on warrants out of Henderson County.